To counter potential losses from compromised data in lost smartphones, security experts recommend smartphone applications capable of wiping your smartphone’s data as well as triangulating your smartphone’s location – making it possible to protect your data and possibly get your phone back at the same time. A few years ago, mobile phones were basically just a status symbol, a luxury people could do without. But today, they’ve become more than mere tools that make communication easier, and it’s almost unheard of to not have a one. They’re so common that it’s now considered a necessity, and many people cannot leave home without it. Mobile phones have also evolved through the years to cater to the needs of their users, offering a bevy of features from digital camera integration to music and video playback and a lot more. Naturally, these features also extend to those who would like a more mobile approach to business – hence the smartphone. 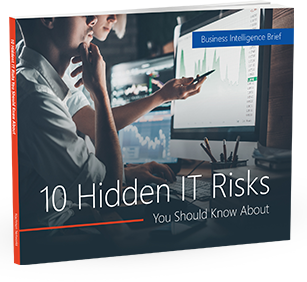 So to lose a smartphone these days means a lot more than just losing the hardware and “fun stuff” – it can spell a potentially dangerous threat to your business if the wrong person with the right skills picks it up. Fortunately, technology also offers a way to counter lost smartphone incidents. Security experts recommend that businesses install smartphone applications that are capable of wiping your smartphone’s data, as well as triangulating your smartphone’s location. “Most consumers could probably care less about this, but it’s incredibly important for businesses to have a remote wipe feature in place for its employees’ phones,” says Ken Dulaney, vice president for mobile computing of Gartner, a research and consulting firm based in Stamford, Connecticut. Through these applications, a small packet of data is sent to your smartphone that is designed to delete all the information and data inside, and through GPS and / or cellular triangulation, direct you to its location. This makes it possible to protect your data and possibly get your phone back at the same time. Regardless of the handset (and the corresponding OS) you are using, there are different apps that will do the job – so if you are looking to secure your business smartphones, please don’t hesitate to contact us so we can draw up a customized mobile security policy for you.